Weekend is the best time to re-energize yourself for a productive week ahead. 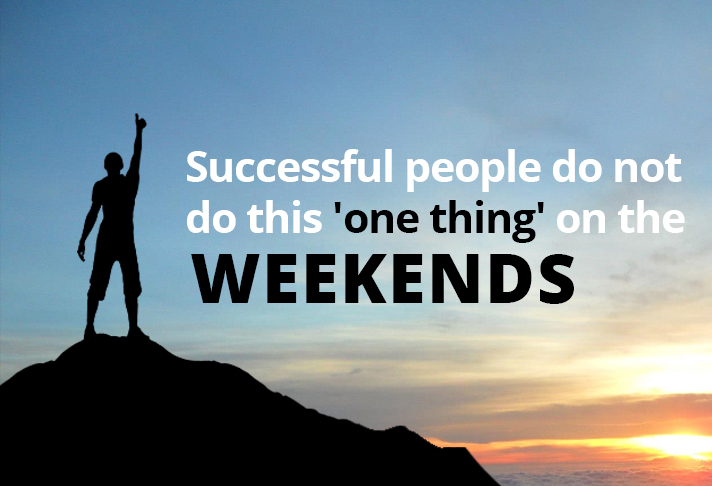 If we look at the life patron of successful people, we find that they avoid working on the weekends. They spend their weekends on the activities which are refreshing such as spending time with families, playing their favourite games, watching movies, shopping and hanging out with their best friends. Neglecting your personal life on the weekend does not guarantee success at work. As a matter of fact, over thinking and over doing the work all week and ignoring your personal life and health is bad. A continuous routine each day could kill the desire, passion and motivation for your work, taking time off from the work is very necessary and you can only do that on the weekends. I do not work on the weekends unless it is very important to do so. I spend my weekends playing golf and spending time with my family because my family is a priority. Owais Zaidi, The Hive. A study reveals that working over 50 hours a week reduces your productivity and it usually drops so much after 55 hours that there is no point in working further. The people who work 100 hours a week typically get to do the same amount of productive work then someone doing 45 hours a week. Taking time out for yourself on the weekends reduces the stress of your work or job. This much needed break in the week can boost your passion and raise your commitment for work therefore improving your performance. So, how do you spend your weekend? Previous article How To Grow A Startup?